Anyway, the point of all this is that the series is being reinvented with a new film called ‘Terminator Genisys’. I just watched the trailer (a few times) and I decided I’d share my thoughts on it. I don’t know if this will interest any of you, but I’m going to do it anyway. Firstly- the effects. The original came out in 1984 so as you can imagine the effects were pretty crap, but we finally have some large scale, modern effects. I’m glad to see that the mechanical skeleton thingy of the terminators still looks the same as in the original. I like that we get to see Kyle Reese being sent back in the trailer – it’s not something we ever saw in the originals. I don’t think the guy who plays him in this version is as attractive as the original, but maybe I’m biased. It’s also interesting to see some familiar scenes from the original before everything changes. So Sarah Connor, let’s talk about her. Now in the originals, she’s already pretty damn badass but in this…just damn. I’m sure you all know how much I love my strong female characters and who could be better for the role than Emilia Clarke (Daenerys from Game of Thrones)? Also, I really like how she doesn’t look stunningly beautiful in the trailer – she actually looks like she’s been through hell so yay for the make-up department! As much as I love Linda Hamilton, I can’t say I’m sad to see that 80’s hairstyle go. Basically, I’m not feeling too terrified by this new movie. I know it could still turn out to be terrible, but I’m still interested to see it. That’s my post for today! 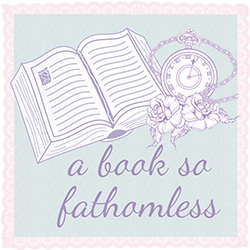 I’ll be back tomorrow with the usual bookish stuff.